IT Support In Plain English. ICU provide a full range of IT services including support, project implementation, consultancy and advice. We act as your own IT department, think of us as an outsourced, ‘in-house’ resource for your business. 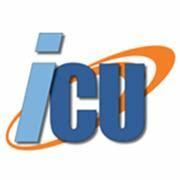 ICU are a leading IT Support company based in Derby and Nottingham, East Midlands. We have a proven track record of helping businesses succeed with IT systems – we help businesses become more efficient, reduce down time and cut costs. Our highly experienced team of IT specialists support a wide range of clients across a diverse set of industries, including; legal, automotive, manufacturing, and financial just to name a few. We understand how difficult it can be when you get put through to someone who doesn’t have a clue, that’s why over 90% of our staff are technical so you will always get through to someone who can help you out of a tough spot. At ICU, we are so confident in our ability to help you to control costs that contracts without fixed term obligation are regularly entered in to, allowing you flexibility and freedom to run your business.